One of the rats found at BHSEC next to trash left by a student. Photo credit: USA Today. It’s official! Starting from Monday, April 3rd, students will be allowed to enjoy their breakfast, lunch, snack, etc. in the hallway. This was the first year that students were not allowed to eat in the hallway, and it did not go as smoothly as the administration thought. 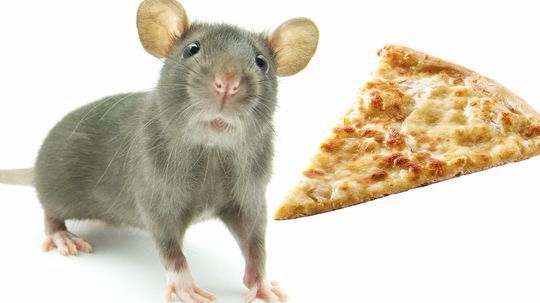 The initial reason behind banning food in the hallway were rats at BHSEC, which tended to be attracted to the food left lying around by the students. Therefore, the administration believed that limiting the food in the hallway would reduce the number of rats, leading to a healthier environment in the school. Then why remove the ban? There are a few answers to this question. The first one is pretty obvious: nobody actually stopped eating in the hallway. Everyday this year there were groups of students eating their rice and beans, pizza, and fries in the hallway being yelled at by an angry Dean Hinrichs. The second reason is not as obvious: there has actually been an increase in the number of rats at BHSEC. Since the ban students have been eating in the hallway even more, maybe out of spite, which has led to more trash. The administration has decided to lift the ban in a desperate attempt to return to the rat condition from last year, which, although still present, was not as concerning. The final reason is the strangest. The administration says that a weird behavior started being displayed by the rats since the ban was enacted. More students started seeing rats, wires were being bitten, etc. which led to a strange, but convincing, theory to be developed. Dean Hinrichs, along with the rest of the administration, believes that the rats have been attacking the school as revenge for the ban. It might seem as an insane theory, which is why it was ignored for so long. However, the attacks started being so frequent that they could not be ignored any longer, especially because of the arrival of the new smart boards, which have a lot of wires that could be potentially broken. Therefore, the administration has not only decided to lift the ban, there will also be a party in the hallways of each floor on Monday, April 10th where faculty and staff will bring home cooked meals, students are encouraged to do the same! We hope that the attacks will be reduced and that peace will be made after the party. In the meantime, students are instructed to eat every meal as much as possible in the hallway to maintain peace until the party and after the party.